Pagudpud is a humble municipality of Ilocos Norte and is located on the northernmost tip of the Luzon main island. Because of its location, Pagudpud offers some of the most priceless experiences of one’s life by the ocean. If you’re ready, grab your bags and travel to the coastal municipality of Pagudpud — where life isn’t urbanized as in the cities but is nonetheless a vacation paradise. Without delaying it any further, here are some of the best resorts you should visit in Pagudpud for your next Philippine beach holiday. Considering that Pagudpud is facing toward the West Philippine Sea, you can expect that all the holiday destinations here will be amazing. Pannzian Beach is no exception to this rule. While you’re here, you can easily kick back, relax and just listen to the waves as they crash. You can order a Filipino dish that’s freshly made from the resort’s own garden. Just don’t expect an internet connection or a TV in the rooms — you didn’t come here for those. With an open view of the ocean practically in front of your window, you surely can’t say no to Kingfisher Resort! Just staying here will give you the feeling that you own the place itself — the beach is, on average, a 2-minute walk away from your room. Some of the facilities here include a beach bar and a restaurant, and there are myriad activities to keep you occupied during your stay here. Checking in at Saud will give you the chance to go swimming, scuba diving or whatever else you plan on doing with your time here, all day long! When you check in, you’re also given free access to the beachside huts where you can get some shade when it gets hotter. The rooms here are air-conditioned, and come complete with amenities such as a refrigerator, a shower and toilet, a mini bar, and a veranda that overlooks the ocean. 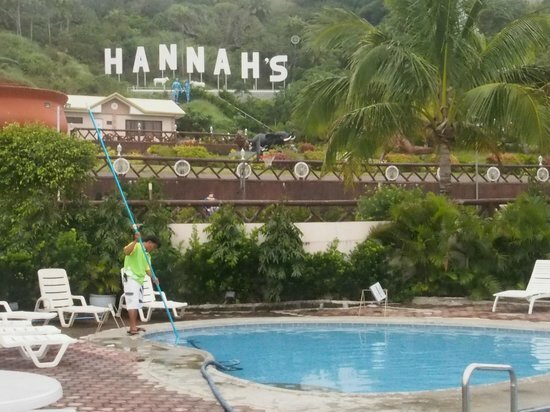 If you’re looking for a luxurious trip, then Hannah’s is the place for you! Aside from the fact that every single room here is very well-maintained, the resort also offers a convention center where you can host any events you may have. There’s also a theme park, swimming pools, gyms, and the famous solar-heated pool Banga. You may choose to dine in any of the 3 restaurants around the resort. The resort also offers airport transfer services for their guests’ convenience. If you just want to have a chill vacation experience, then you can come over and relax in Kapuluan Vista Resort where they offer massage sessions. You can even try out one of their yoga rooms or chill out in the herbal garden while your friends go out swimming. While you’re at it, you can try out the resort’s dishes, which are made from only organic ingredients grown in the gardens. 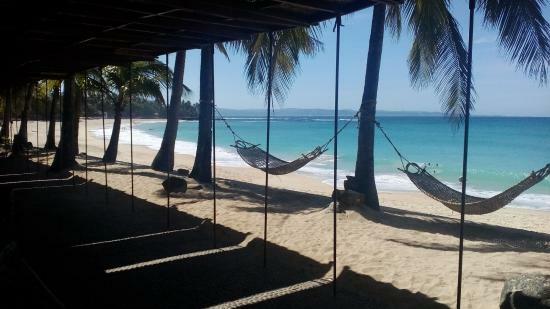 If you want to have the best beach holidays Philippines getaway, then better try out one of these beach resorts in Pagudpud, Ilocos Norte. Just don’t forget to bring along a bottle of sunscreen with you to avoid getting sunburned. Majority of the Filipinos know that Cebu is the main attraction of Central Visayas, being the premier tourist hub of the region, as well as an important city for trade and commerce. What many do not know is that, somewhere in the easternmost part lies a province teeming with several different exhilarating attractions. We’re talking about Samar Island. Just close to the Bangon Falls, Tarangban can be found in Barangay Tinaplacan, around 45.2 km from the city proper, going north. The falls is still 4 kilometers away from the national highway, meaning it entails around an hour of trekking inorder to get to the said scenic destination. Or, you may also take the habal-habal which the locals would gladly tell you where they are stationed. Nice thing – the falls has never been rated for difficulty to reach such as easy, medium, hard, and so on. Visitors who have experienced the adventure swear about its uniqueness since the waters crisscross onto many rock formations, and cascade rapidly towards the river. You also have to tread on many of the cascades to get to the main falls. To enjoy your swimming, bring your own provisions of food and water as food outlets are not yet available in the area. The local tourism officials recommend both the Bangon and Tarangban Falls for great outdoor fun, besides magnificent photo opportunities! The perfect getaway for those escaping the hustle and bustle of modern living, this resort is located in the heart of Dalupiri Island, in the northern part. The Haven is touted to be the best alternative to Boracay’s high-end resorts. Here, visitors are treated to a slow-paced beach life where a quiet frolic in the white sand and clear blue waters can surely rejuvenate tired spirits. You will instantly feel safe away from home. What’s more, they have several choices for accommodations that will suit any budget regardless of whether you are a foreign or local tourist. Catch the Philippine Air Lines (PAL) Express that flies to Manila to and from Calbayog and Catarman City. Calbayog is around two hours travel by van from Catarman. Those who opt to take the long ride may catch the bus that plies the Luzon-Visayas-Mindanao route since it treads the Maharlika Highway which runs through the entire province. The buses are stationed at the Ali Mall Bus Terminal in Cubao and the various Pasay City terminals. At the southern tip of Luzon, a ferryboat will take the bus for a 30-minute ride to the northern tip of Samar, after which you may proceed to your chosen destination. After your Samar escapade, proceed to Mindanao to experience the must-visit sites in the island. Don’t forget to explore top restaurants in Davao City for a truly delightful gastronomic experience.